The purpose of our research is the elucidation of glycan recognition patterns. Glycans are composed of monosaccharides and have complex structures with branches due to the fact that monosaccharides have multiple potential binding positions compared to amino acids. Each monosaccharide can potentially be bound by up to five other monosaccharides, compared to two for any amino acid. Glycans are often bound to proteins and lipids on the cell surface and play important roles in biological processes. Lectins in particular are proteins that recognize and bind to glycans. In general, lectins bind to the terminal monosaccharides of glycans on glycoconjugates. However, it is suggested that some lectins recognize not only terminal monosaccharides, but also internal monosaccharides, possibly influencing the binding affinity. 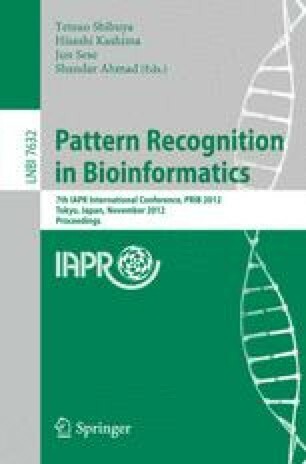 Such analyses are difficult without novel bioinformatics techniques. Thus, in order to better understand the glycan recognition mechanism of such biomolecules, we have implemented a novel algorithm for aligning glycan tree structures, which we provide as a web tool called MCAW (Multiple Carbohydrate Alignment with Weights). From our web tool, we have analyzed several different lectins, and our results could confirm the existence of well-known glycan motifs. Our work can now be used in several other analyses of glycan structures, such as in the development of glycan score matrices as well as in state model determination of probabilistic tree models. Therefore, this work is a fundamental step in glycan pattern analysis to progress glycobiology research.